Make Your Email More Engaging In The Age of Digital Buyers! We live in the “Age of Customers” – According to Forrester research. Meet today’s buyer – Digital Buyer. Thanks to Smartphones, Social Media & Web, these channels provide instant information to customers. Consumers can access detailed information, pricing, and reviews about services/products anytime anywhere – Just need finger/thumb with a Smartphone. And, social media provides a great platform to check any business social activity and it give consumers a way to compare. It’s time to through out old style of marketing because traditional & old marketing mediums are becoming less effective as buyers get more smart & tech-savvy. Today’s buyers are not average, they’re wise to the ways of marketing. As a buyer, i believe company should inform & entertain me, but never irritate me. It’s very simple, if they don’t keep communications engaging, I’ll opt out. I am self-directed (like digital buyers) to make purchase decisions. I never interact any brand directly. Firstly I find the information which i am looking for in the digital channel that is most convenient for me at the time (Whether i’m in front of my laptop at home/work or in lines at Pizz Hut on my mobile). I check brand website, social media platform (Facebook, Twitter, Linkedin, Instagram), content/blog etc. before making a decision. So moral of the story is, By the time a buyer comes to you, he’s probably already made his purchasing decision, so don’t be just a typical sales girl/man; be a smart advisor or counsellor. If you want to win them, you must be obsessed with them, understand their needs and entertain each and every customer individually and personally. It’s a challenging as well as an exciting to be a marketer. Because in present advertising model, you must be dynamic, don’t put the static information to buyer (more precisely digital buyer). But question still remains, how to entertain & engage with buyers? Your answer is right here – Personalized, Relevant, Engaging Email! Perhaps you’ve heard somewhere from someone that, “Email is no more alive, it’s dead!” Many marketing pandits (or intellectuals) claiming that email is dead. 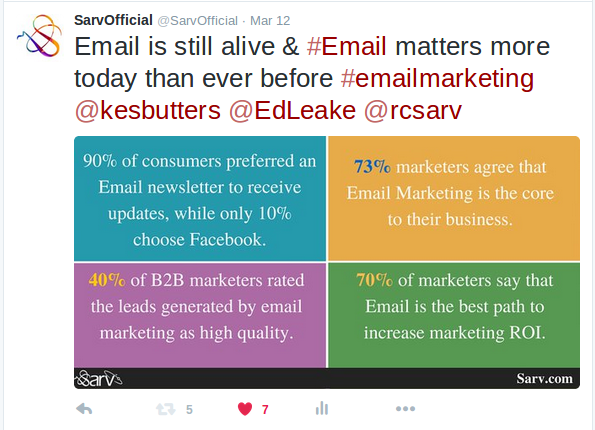 But truth is opposite the data – Email is still Alive & Well, surprisingly it matters more today than ever before. There are many channels available – Traditional channels like T.V., Radio, Newspaper & news channels such social media, mobile etc. But email still is the most direct & popular way to engage with consumers. Because we’re addicted to email. 1. How many times a day do you check your email? 2. Have you checked your email while reading this article? 91% of consumers reported checking their email at least once a day. There are nearly 4.1 billion email accounts worldwide by year end 2015, with that number expected to increase to 4.9 billion by the end of 2017. Email is expected to grow to $12 billion by 2016 and email traffic is estimated to grow to over 192 billion emails sent per day by 2016. 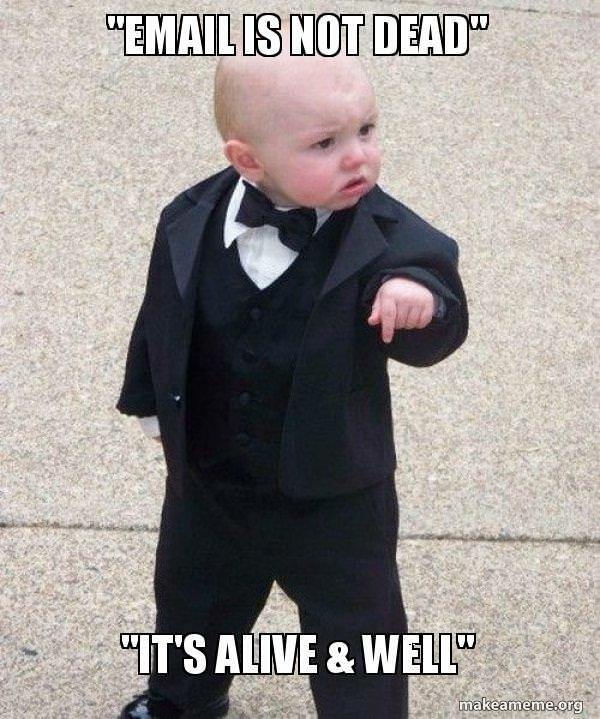 My point is, email is not dead, it’s alive & still doing well. As a marketer, it’s still your number one marketing tool for reaching targeted audience quickly. But it’s facing some challenges. #1. People don’t want to be your marketing target. Sales pitches, advertisements, and other interruptions irritate them. Digital Consumers have their own definition of spam emails. If they don’ like your message, they will make sure they don’t see it again. Whether you agree or not but most of marketing emails irritate your subscribers (Let’s face it) . There are many tools or software available out there to help them to filter unwanted emails. I got a email so many times which said: “Are you ready to buy? Hi, are you ready to buy? Just for you buy today!” This guy was irritating me so much, i marked as spam! #2. There are so many marketing channels available for consumer to find more relevant and personalized content such as: email, mobile, social, display advertising. So through out the old email marketing strategy & tools (which is only designed for email), it’s must for you to do customer-focused marketing (customers should be center of all your marketing, because customer is KING). So be smart marketer & integrate email with other marketing channels. All you need to do is engaging email marketing. 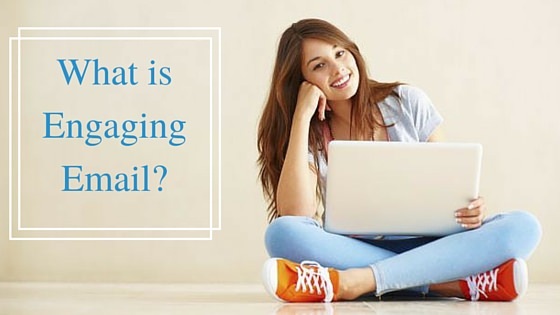 What is Engaging Email Marketing? Let’s consider: you have got 10 email in a day, 5 from your friends, family or colleagues & 5 from some businesses. You most probably pay the most attention (& quickly respond) to the messages from people with whom you have a genuine & trusted relationships. Perhaps now you’re thinking, relationship between a business & a customer is never same as relationship between friends/family, It’s TRUE! But as a marketers we can narrow the gap (but you can’t send something like – Hey John, what’s up dude!) Build a natural & trusted relationship with your customers. If you want to connect with them, you have to work hard to engage them (there are no short cuts). In order to be truly effective, email marketing must become more trusted, more relevant, more conversational, and more strategic. It’s not so simple, but it’s not a rocket-science as well. You have to work hard to connect & engage with them. 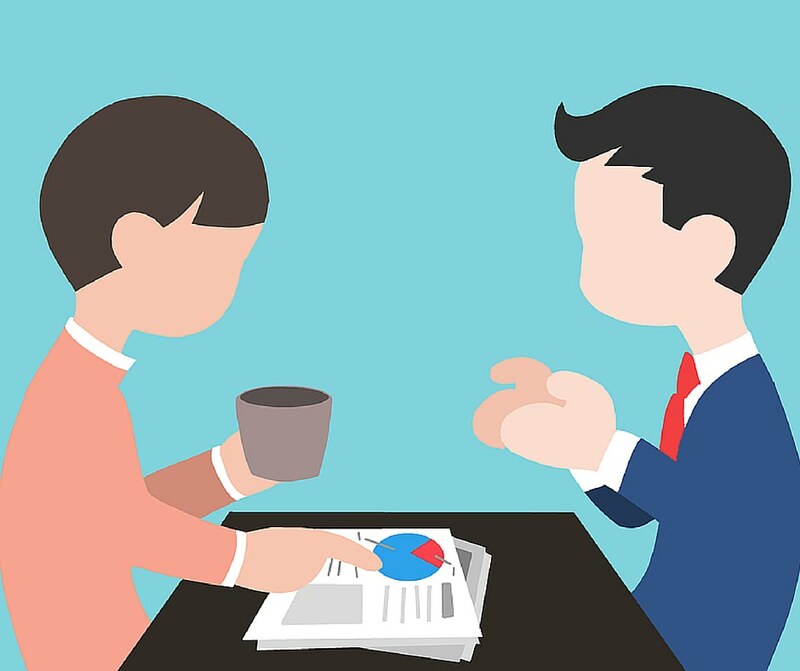 Be More relevant, conversational (non-marketing pitch), and strategic. In Next Article, we’ll Discuss Some Important Key Attribute of Engaging Email. If You Like This Article, Go Ahead & Tweet. This is an interesting post again. It is highly recommended that we make the most of our email marketing to gain conversion and sales. Email marketing is still very much alive and it would be for the interest of marketers to personalize and engage them effectively. For the best emails to achieve the intended result, it becomes necessary for marketers to share relevant contents that would appeal to the needs and address the pain points of the potential readers. This can be achieved easily if the digital buyer is understudied and provided with the right information to assuage their digital mind! It’s nice to see you again. If one want to be a successful email marketer, then create personalized, relevant & engaging email. But firstly, we have to understand our buyers’ needs. As i discussed in my post, customer is the center of all type of marketing. Thanks for coming by & sharing your views here. Have a nice day ahead!